Food Politics by Marion Nestle » GMO labeling: it’s happening! When the Senate last week failed to pass a bill that would block individual states from passing laws requiring GMO labeling, it meant that Vermont’s labeling law would go into effect July 1. Vermont passed its bill in 2014. Too bad for the Grocery Manufacturers Association and its food and biotech company members who spent hundreds of millions of dollars fighting labeling requirements. Food companies now have a big problem. If they want to sell products in Vermont, they must comply with GMO labeling. Also, if other states pass slightly different laws, they will have to do labels state by state—a compliance nightmare. Hence their attempt to get Congress to preempt Vermont’s law. That ploy failed. The result: one huge food company after another says it will voluntarily institute GMO labeling to comply with Vermont’s requirements. To be sure, General Mills is labeling as a practical business decision, not to change the policy discussion. The first-in-the-nation GMO labeling law is set to take effect in Vermont on July 1. As of that date, food makers face fines of $1,000 per day for every product type found on grocery store shelves in the state that’s not properly marked. In the meantime, the Non-GMO Project, which certifies products as GMO-free, has put its seal on tens of thousands of products. The reality: the public wants GMO foods to be labeled. This should come as no surprise. Public surveys since the late 1980s have come to the same conclusion. Q: Why aren’t GMO foods labeled as such? A. 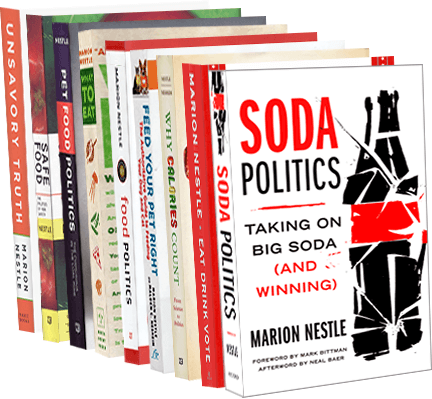 Industry lobbying and an FDA too weak to stand up to it (see my book Safe Food: The Politics of Food Safety). The GMO and grocery industries brought this situation on themselves by so strongly opposing labeling in 1994. Believe me, they were warned (I witnessed all this as a member of the FDA Food Advisory Committee at the time). Unless the industry can find another way to stop it, foods will be GMO labeled this year. My prediction: the world will not come to an end. The UK soda tax: a tipping point?